145 in stock Need More ? 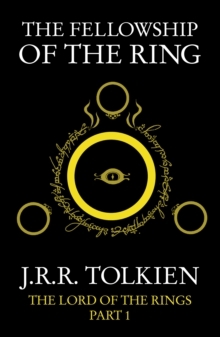 The first part of Tolkien's epic masterpiece, The Lord of the Rings, featuring an exclusive cover designed to complement the new 'History of Middle-earth' series. Sauron, the Dark Lord, has gathered to him all the Rings of Power -- the means by which he intends to rule Middle-earth. All he lacks in his plans for dominion is the One Ring -- the ring that rules them all -- which has fallen into the hands of the hobbit, Bilbo Baggins. Now available in smart a new livery to match the 'History of Middle-earth' series, and impossible to describe in a few words, JRR Tolkien's great work of imaginative fiction has been labelled both a heroic romance and a classic fantasy fiction. By turns comic and homely, epic and diabolic, the narrative moves through countless changes of scene and character in an imaginary world which is totally convincing in its detail.